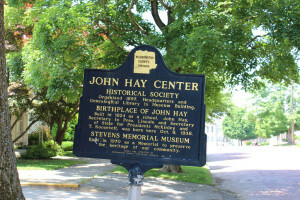 Hay was born at Salem Oct. 8, 1838, and died July 1, 1905. 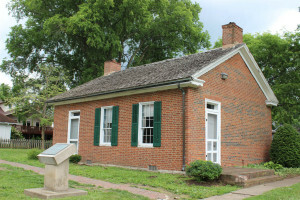 Hay’s birthplace, a small brick house on South College Avenue, was built in 1824 for use as a school building. Dr. Charles Hay purchased the building in 1837. The family later moved from Salem to Illinois. 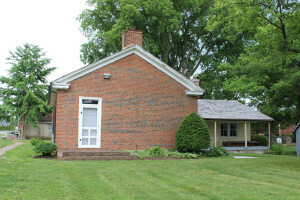 The Hay home was acquired by the Washington County Historical Society in 1967. 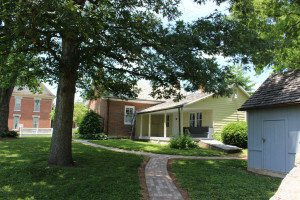 The house has been restored and furnished in the 1840 period. 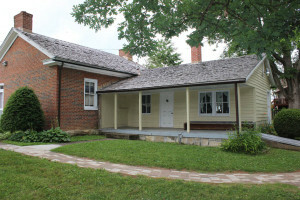 The Hay birthplace has been a National Historic Site since 1971.